Thanks Veronica. Cool and Dave are not usually used in the same sentence. But I appreciate you trying. What! I always use cool and Dave in the same sentence! I should start drinking more, then. I mean, in the name of science..
Good reading. Keep on trucking! MOS, it is as much fun as it looks. It could romp over sunbathers if need be! Did you happen to wear a seat belt? I see no helmet or goggles and snorkel so I assume you did try to impersonate Jacques Cousteau. I can only picture you being separated from your wheels and being set adrift. From San Diego, if the current is right, you could make it to the Hawaiian Islands without needing frequent flyer miles. 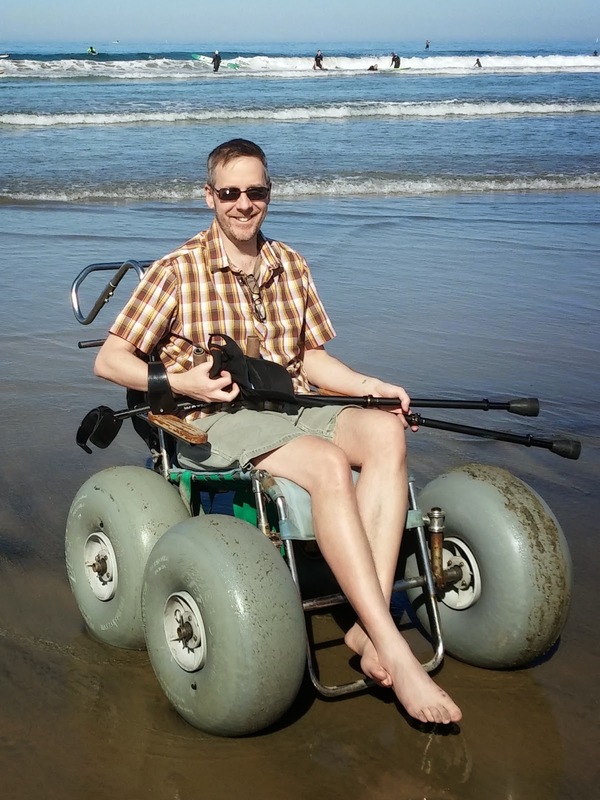 We were at the beach in Florida last month and I lamented the need for a big wheeled buggy to get around the soft sand - now I know what's available. 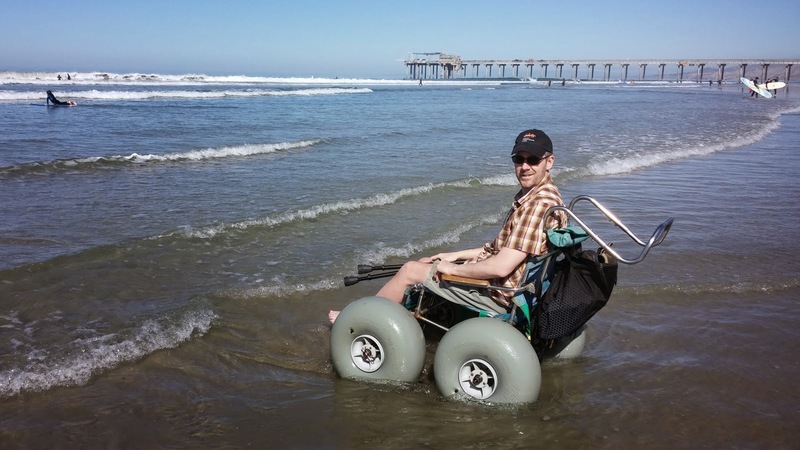 Where can I rent one of those floating wheelchairs? Thanks Dave. You reminded me of my days at San Diego State U. when I didn't have MS. San Diego has some of the best beaches in the world. Dustin, those beaches are pretty awesome. Anon, in San Diego just go to a lifeguard station and ask. And anywhere else, go to the lifeguard station and ask. If they don't have one, maybe enough folks asking will change the situation. 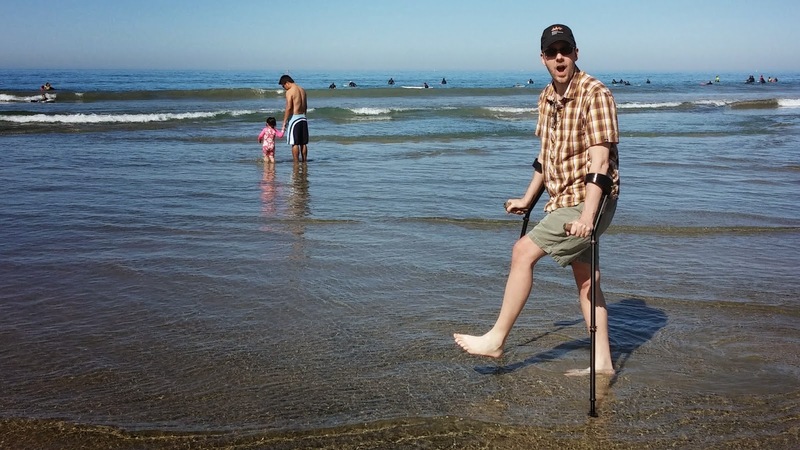 I ordered attachments for the bottom of my canes that allow me to walk in the sand with a cane. Before the cane tip kept sticking deep in the sand and was impossible in the sandy part.